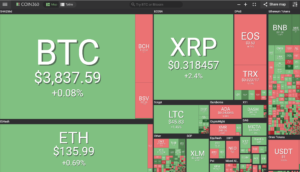 The majority of the top 100 coins of the cryptocurrency market made it into the green today on coin360. The largest double digit percentage gainers were: Paragon (PRG) 47%, STEEM (13%), ICON (12%) Binance Coin (BNB) 12%, and Huobi Token (HT) 12%. 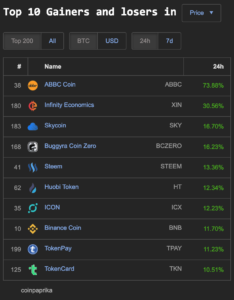 The visual view of the top 100 in cryptocurrency marketcap at coin360.io. Coinpaprika.com is showing double digit gains within the top 200 market cap for ten tokens. 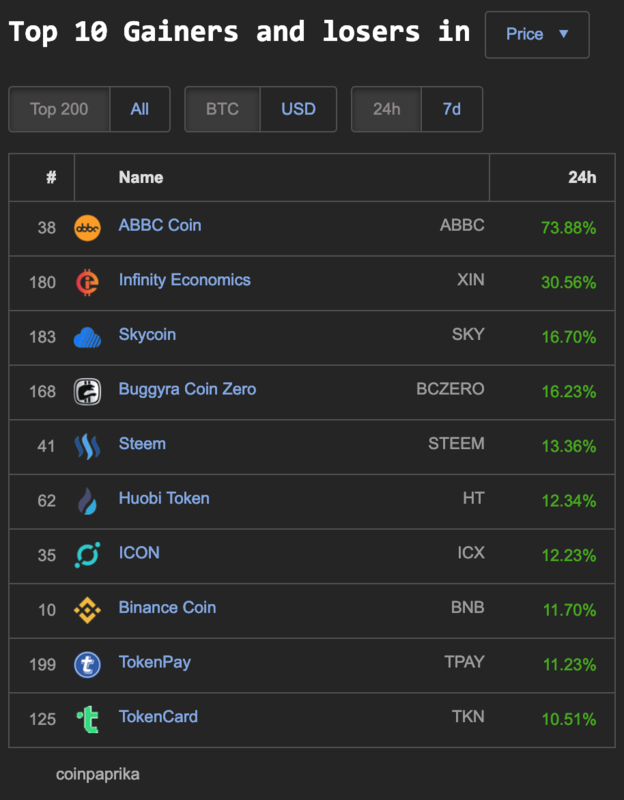 Some of the largest percentage gainers on the top 200 on Coinpaprkia. 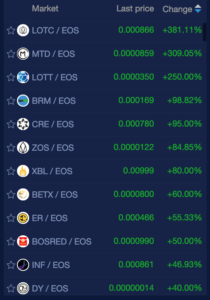 newdex.io coins trading with EOS has two coins with 300% gains, and one with 250%. 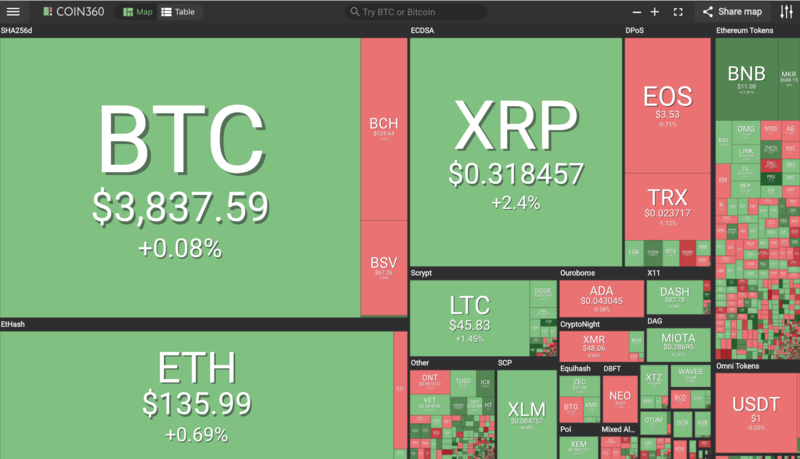 The top dozen coins having a least 40% gains on the day—tt is more of a crypto Spring than a Crypto Winter in EOS land. 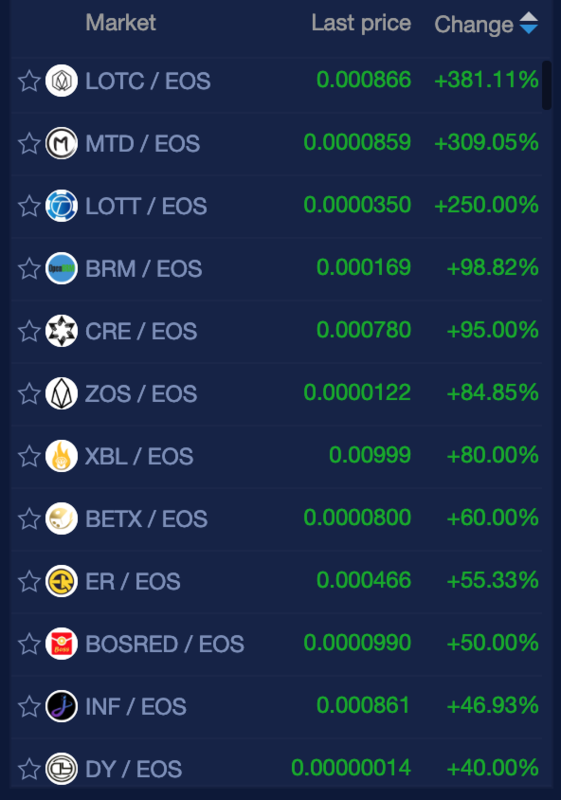 Several EOS coins on NewDex are in the triple digit gainers for March 1st.